After receiving a BFA in the Performing Arts at Montclair State University, this Jersey girl went on to a yearlong acting Apprenticeship program with Actors Theatre of Louisville, in Kentucky. She then completed her graduate studies at Harvard University, in a conservatory program with The American Repertory Theatre Company. Pounding the pavement from New York City to Los Angeles for 20+ years was an invigoratingly exhausting adventure and a school of absolute inspiration. She officially started writing in 2003 and has penned 17 titles including two full length plays, many one acts and a couple of ten minute plays, and her first novel. Along with all of her performing art training and script analysis studies, she studied playwriting at UCLA Extension and at the Lighthouse Creative Writing Workshop. Most of her plays have been produced, work-shopped, or received a professional staged readings in various cities. 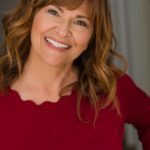 Nicolette is an artist… an actor, multiple award winning playwright, a novelist, a professional theatre director, acting coachfor actors and entrepreneurs, and has performed in over 100 stage plays, numerous commercials, TV shows and independent films. As of July 2018, she moved back to Seattle, Washington where she now lives, loves and creates!